Time for a long overdue blog! Life seems to have stalled for us over the past 18 months or so – we’ve lost our drive and passion, we seem to be drifting and wasting precious time not doing the things we love. Life events have knocked us down and we’ve been fighting indecision and apathy. With another loss in the family – this time Mike’s dear Mum – we were struggling to motivate ourselves. Time to give ourselves a kick up the backside! Having both hit 65 this year, we had planned a two-month cycle tour around Europe in May/June to celebrate, but then life took over and we had to put it on hold until, hopefully – no, definitely – next year. 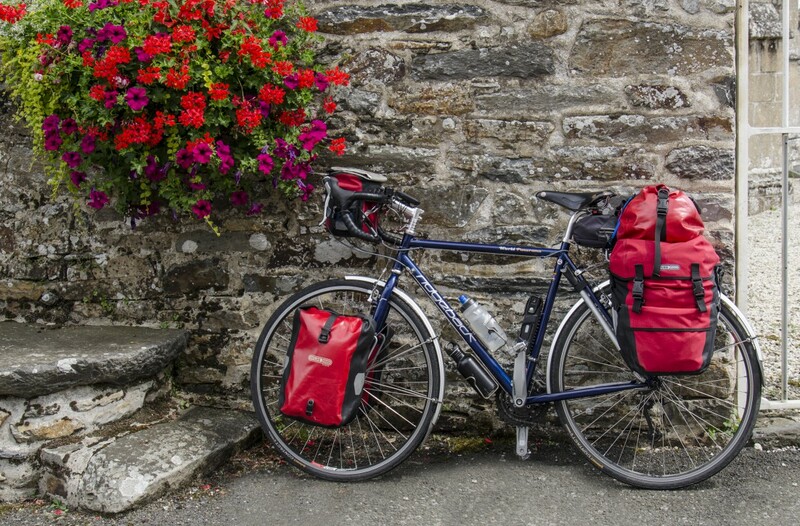 To console ourselves, we booked last-minute tickets to the Cycle Touring Festival, making it our third time. It has always been a great weekend, full of happy, enthusiastic people, some of whom have become dear friends that we look forward to catching up with each May. As with every year, the 2017 festival didn’t disappoint. So many inspiring speakers, so many enthusiastic people with interesting tales to tell, so many passionate cycle tourers willing to share help and advice: who could fail to be inspired. Laura and Tim Moss, their close family – in particular, the now well-loved Sharon, Laura’s Mum – and all the speakers kindly give up their precious time and energy to run and contribute to the festival without profit. If you are dreaming of taking your first ever cycle tour or are a novice cycle tourer (or even an experienced one), the Cycle Touring Festival is one event in the year that should not be missed. Yes, thanks for that, Trevor. We managed to get to the Outer Hebrides (blog to follow shortly! ), which was just we needed to pick ourselves up – stunning scenery, remote, peaceful, sunshine :0) good for the soul! Did us the world of good. Hope to catch up sometime – please let us know when you’re next nearby.